Many space photos seem to be quite unreal because we have never seen such places before. There are thousands of such unbelievable beautiful places on Earth! Some places look like places from other planets. Also, luckily many such places untouched by human activities. Here the list of 14 unbelievable places which really exist. Mount Roraima is a flat-topped mountain located between the borders of Brazil, Venezuela, and Guyana. Mount Roraima is also one of the oldest geographical formations on Earth. 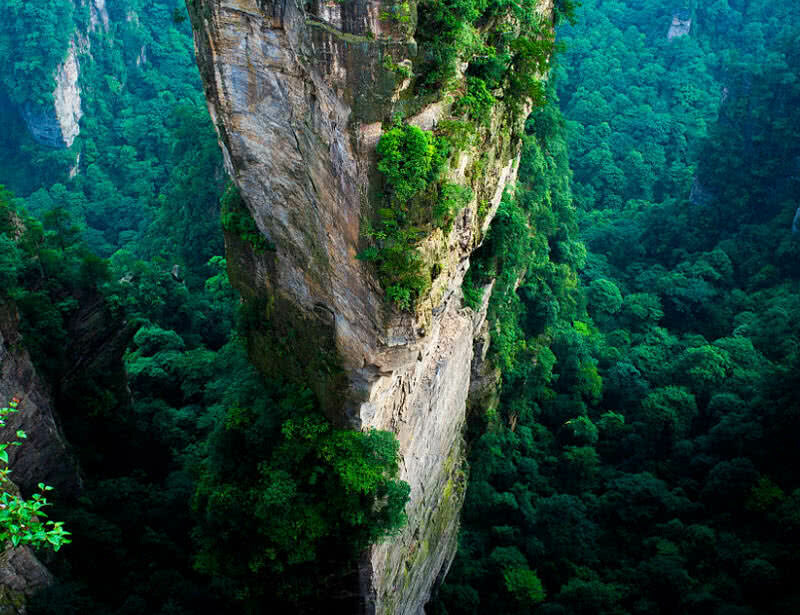 The 9 miles long mountain consists of 400-meter tall cliffs on all sides. It rains almost every day and therefore many highest waterfalls also located on the top of this mountain. The unique landscape is also home to many rare plants in the world. The beautiful landscapes, dense forests, rare plants, and moderately difficult trekking makes Mount Roraima to one of the most interesting destinations for tourists. 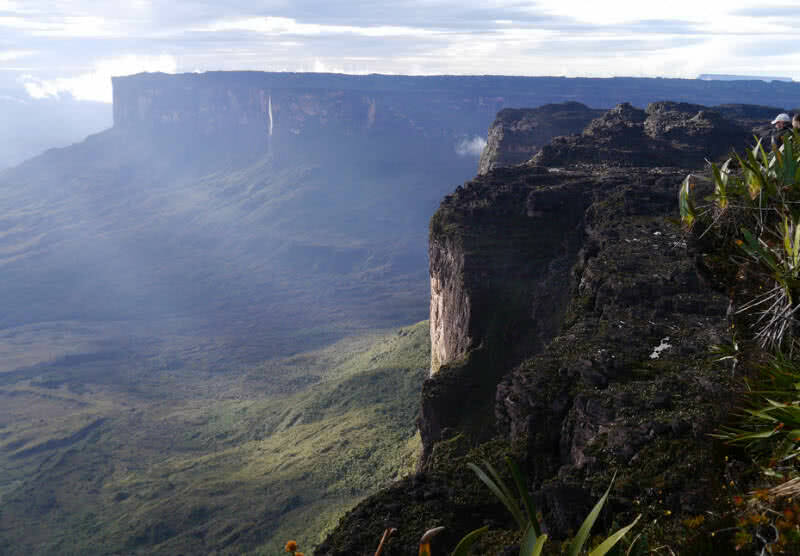 Mount Roraima also a part of South American National park. Plucking flowers and plants from this mountain range is illegal. Tunnel of love is the one the most exciting and romantic places in Ukraine. It located in the town of Kleven. Tunnel of love is a place where you can see the perfect fusion of great architecture of nature and men. 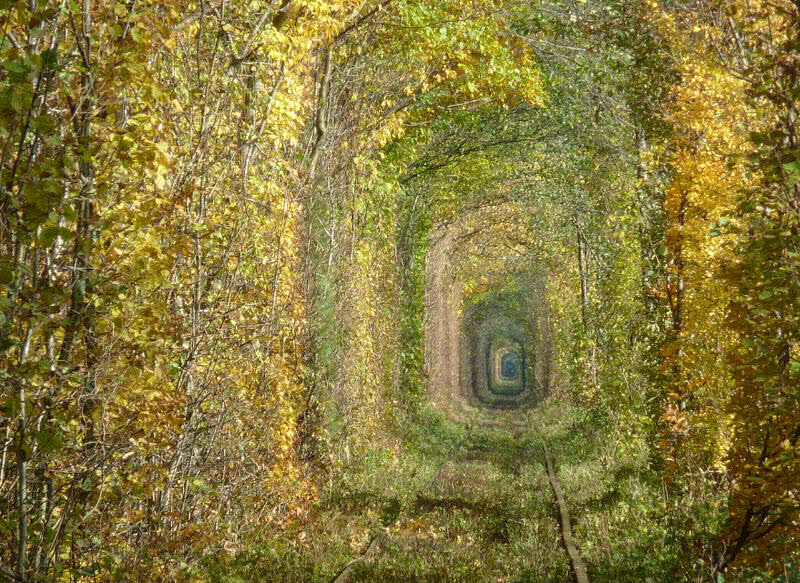 It is a 3 km length railway line surrounded by trees like a tunnel. The passage of trains itself caused the formation of this tunnel. The tree corridor of Ukraine mainly attracts photographers and lovers. Many lovers believed that their love life becomes a success if they visit tunnel of love with true passion. So tunnel of love considered as the most romantic place in the world. Hitachi seaside park is a flower paradise located in Ibaraki city in Japan. Hitachi flower park spread across a vast area of 190 hectares. The park is also famous for blooming of flowers around the year. 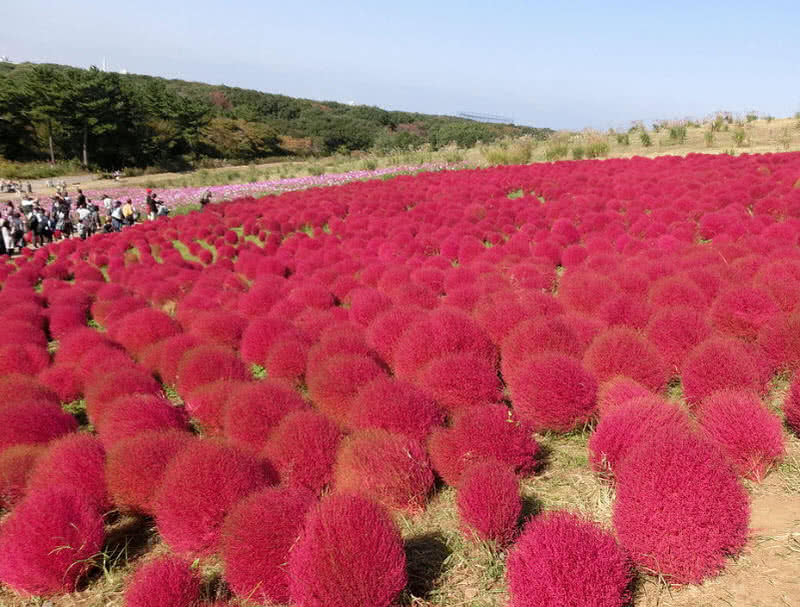 The flower paradise of Japan features wide varieties of flower. Baby blue eyes flowers are the main attraction of the park, blooms 4.5 millions of baby blue flowers in the fall. Hitachi flower park also includes wide varieties of daffodils, tulips, and many other flowers. This flower paradise also provides small amusement parks for kids and beautiful trails for tourists. Tianzi mountain located in Hunan province of China. The word ‘Tianzi’ means ‘Son of heaven.’ It covers a total area of 16650 acres. The mountain range is also famous for its thousands of legendary peaks. The highest peak in the mountain range is 1262 meters above sea level. Tianzi mountain is also known as the monarch of the peak forest. Each peak of the Tianzi Mountains provides a stunning view through scenic rocks and plants at the top. The floating clouds, the radiance of moonlights, reflecting sunshine are also other focusing sights from Tianzi mountains. 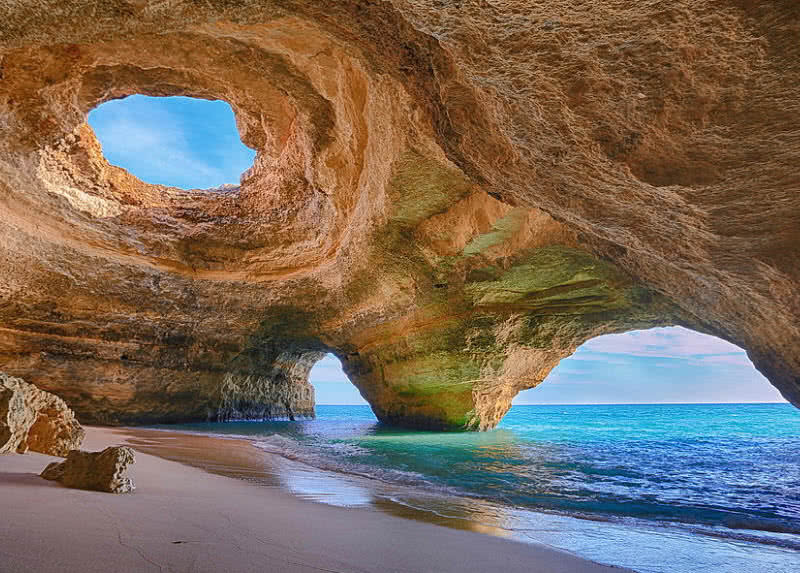 Algarve cave is a stunning seaside cave located in Algarve of Portugal. The continuous action of sea waves formed the Algarve cave. It is one of the largest wave-cut caves in the world. Algarve cave also stands like a shelter on the seashore and faces action of waves all times. The in and out action of sea waves and filtering of sun lights through the holes becomes interesting attractions at Algarve cave. Hamilton Pool is a natural pool located in Texas across 232 acres of naturally protected area. The Hamilton Pool consists of a 15-meter small waterfall and a pool that never dried up. The pool was formed by breaking the dome of an underground river over thousands of years ago. 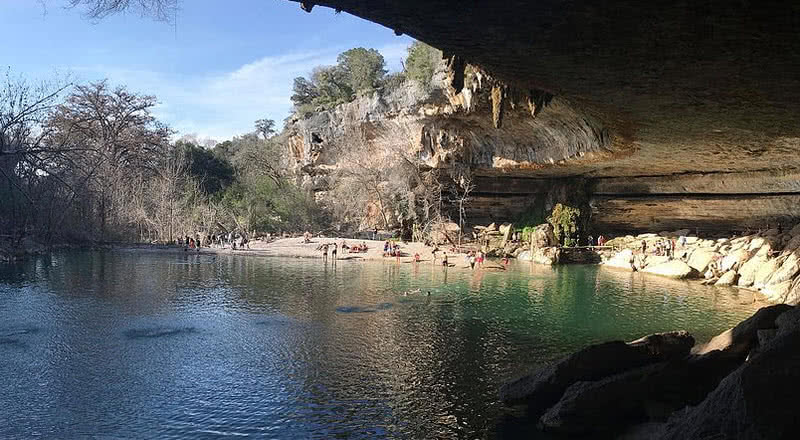 Today Hamilton pool is also the most favorite summer swimming spot for Americans and foreign visitors. It only offers limited usage of the pool. Hamilton pool has perfect ceiling made of stones and also surrounded by naturally carved limestones. Fishing, biking, and camping strictly prohibited in this site. Visitors can also see some rare birds within this site. The great blue hole is the world’s largest sea waterhole located on the coast of Belize in Central America. It is also a world heritage site protected by the Belize Audubon Society. The Great Blue Hole formed by a sudden rise in sea level 150000-15000 years ago, and the cave flooded. It has a depth of 125 meters, and today it is one of the favorite spots for scuba divers. 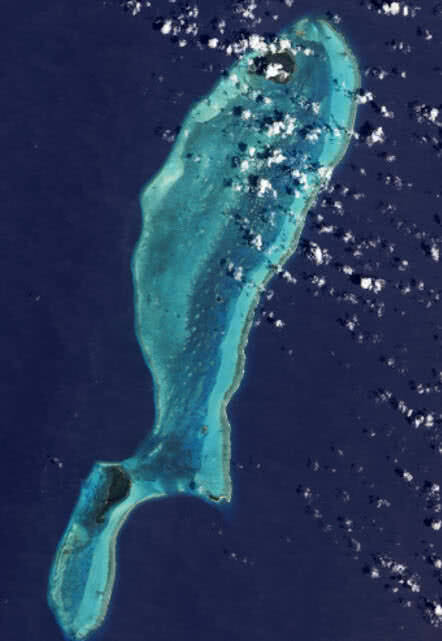 The mysterious blue is a part of the great coral system and enriches wide varieties of marine life. Nurse shark and reef shark are the main marine animals found in the great blue hole. There are also millions of years old limestone walls at this site. Moraine Lake is globally famous for its turquoise water and beautiful mountainous surrounding. The lake located at an elevation of 6183 feet in Alberta of Canada. The blue-green color of the lake is due to mixing of rock flavor and refraction of light. Glaciers are the primary source of the lake. 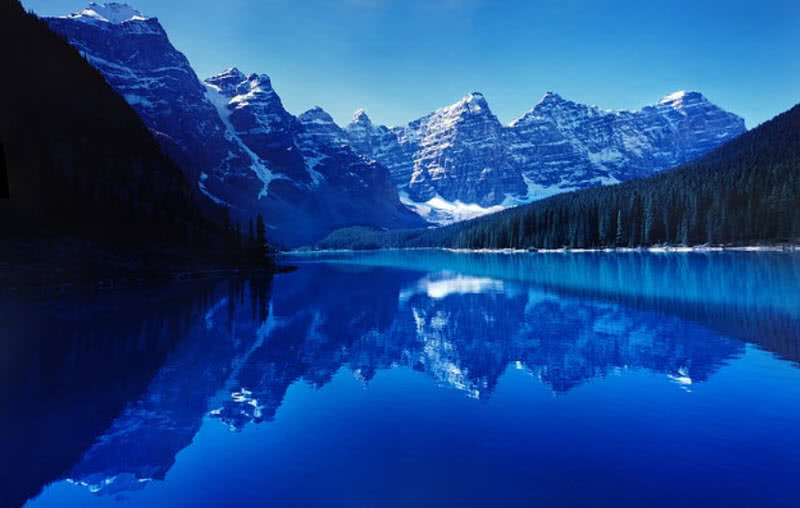 It is also a part of Banff national park and attracts thousands of visitors every year. Canoeing and hiking are the main tourist activities at moraine lake. The helicopter riding is also available for the visitors to get a top view of moraine with mountains. The surroundings of moraine lakes also provide a stunning view of landscapes and tall peaks. 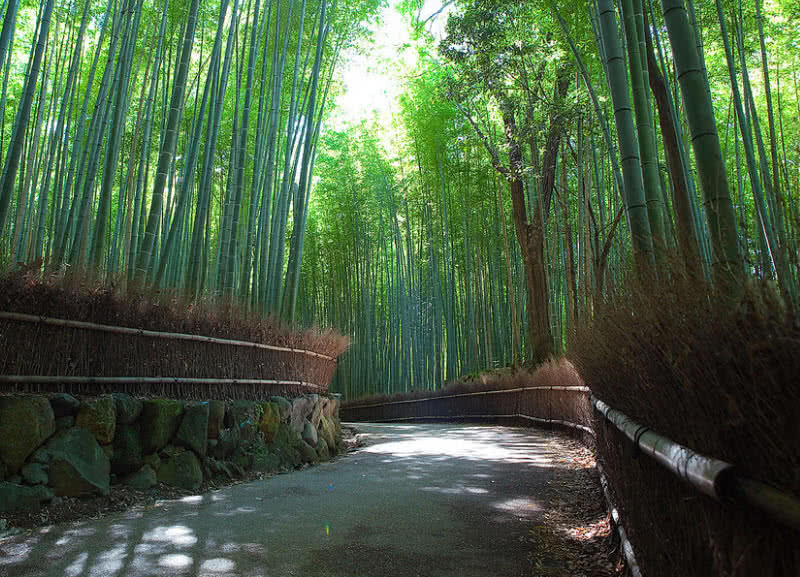 Sagano bamboo forest is one of the most amazing natural wonders of Japan. Sagano bamboo forest situated in Kyoto city of Japan and it covers 16 square kilometers of area. Other than the beauty of the forest, the sound when the wind blows through it becomes a wonderful experience for visitors. This sound is also one of the preserved sounds of Japan. The forest also features walking paths for the tourists. Son Doong cave is the largest cave ever discovered. This massive cave located in Quang Binh province of Vietnam. The word ‘Son Doon’ means mountain river cave. The cave found by Ho Khanh, a local man in 1991. It was formed by decaying of limestone underneath the mountain by continuous action of river water about 3-5 million years ago. The cave still facing erosion and continues to reshape over time. The Son Doong cave is 200 meters wide, 150 meters tall and has a length of 9 kilometers. 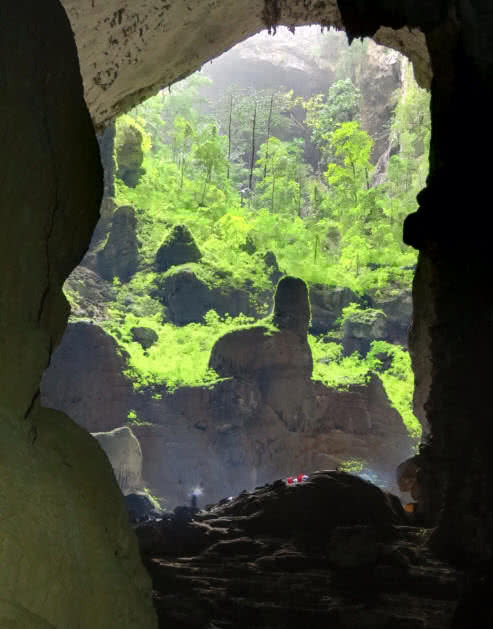 BBC officially entitled the Son Doong cave as ‘most beautiful cave on the planet.’ It is also a part of Phong Nha-Ke Bang National park and believed to be open for public shortly. 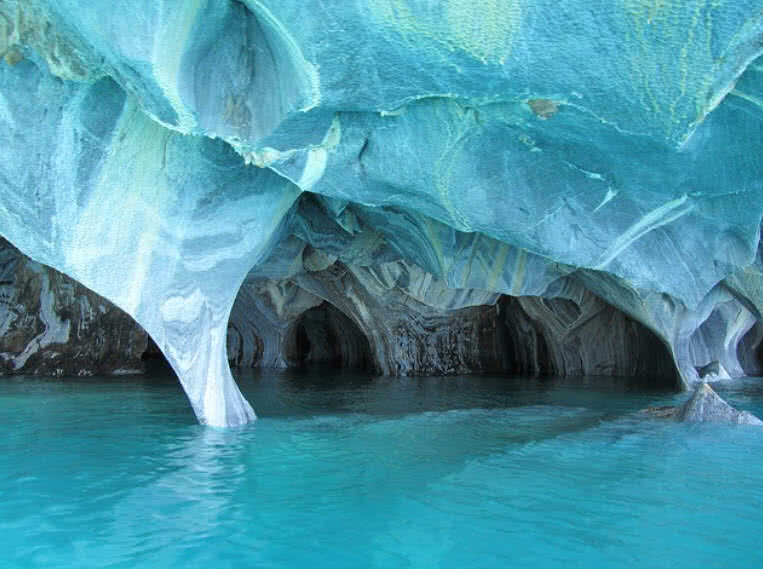 The Ice Caves of Chile is famous as most spectacular ice-marble cave network in the world. The water filled ice cavern located in Patagonia in Chile. These beautiful ice caves are formed by continuous action of water for thousands of years. The cave network also called as marble caves due to its unusual formation. The tortoise water of general Carrera lake flow through the cave network also produces a beautiful reflection of light. The distinct color of general Carrera lake is due to the mixing of different particles from the ice of glaciers. The level of water in the marble caves continuously changes over time. It also makes possible changes within the light show in the ice caves. The natural color of the cave present in the spring season is due to a fall in water level in the lake. 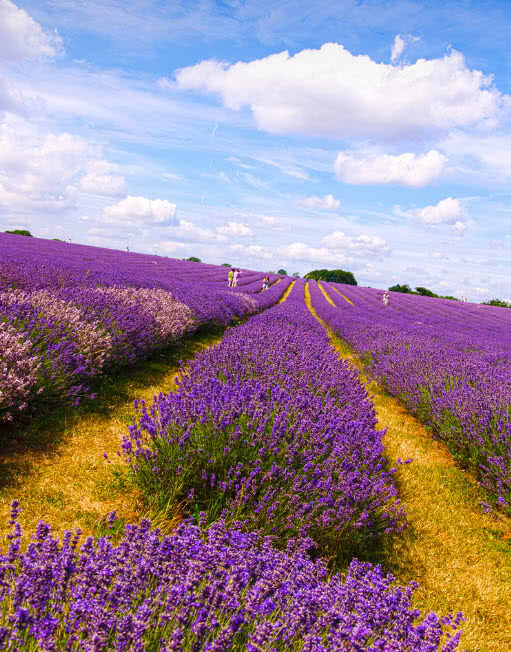 Lavender fields of London is the finest lavender nursery in the world. This flower paradise situated in Carshalton village, few kilometers away from central London. It also spread across a vast area of 25 acres. The perfect time for visiting London’s lavender field is between November and end of December. The field is open daily for visitors. The lavenders within the nursery grow purely in organic methods. The lavender field also attracts many butterflies and small birds. Salar De Uyuni is an interminable mirror and the largest salt flat in the world, located in Potosi of Bolivia. The site covers an area of 10582 kilometers. It was formed millions of years ago by the transformation between many prehistorical lakes. Other than the vast source of salt Salar De Uyuni, it is also rich in lithium reserves. Space agencies also make use of the exceptional flatness and bright atmosphere for satellite calibration. Salar De Uyuni contains over 10 billion tons of salt. The thickness of salt deposit in the site varies from few centimeters to several meters. In the rainy season, the nearby lakes flood Salar De Uyuni. 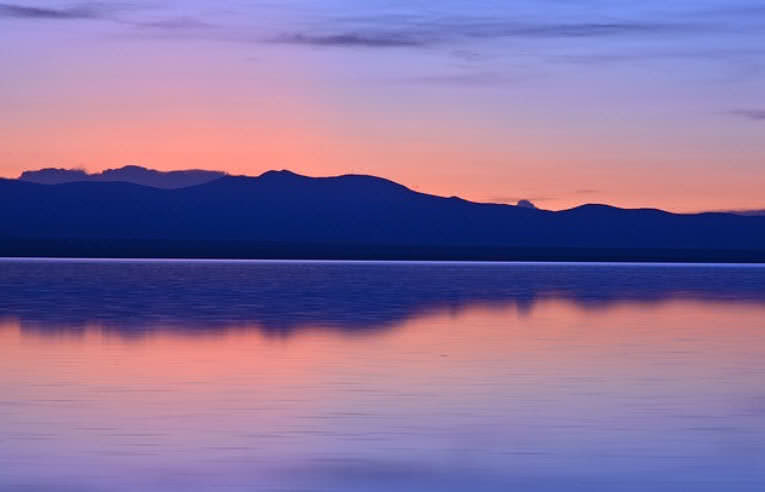 At that time Salar De Uyuni reflect the sky and thus becomes the world’s largest natural mirror. Antelope Canyon in Arizona is the most visited slot canyon in the world. It formed by erosion of sandstone millions of years ago. 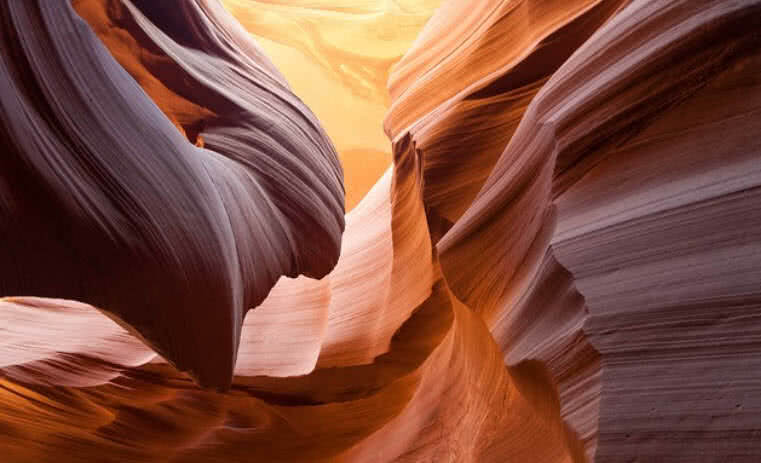 The impressive stone structure makes it the most photographed canyon in the world. The antelope canyon also has two main parts called the upper antelope canyon and the lower antelope canyon. Upper antelope canyon is the most visited section at antelope canyon because of easiness of access. This part has extensive passages and requires no climbing. Lower antelope canyon demands climbing through ladders. It has a fragile structure and narrow passages — this magnificent view of sandstone structures is the main attraction of antelope canyon. The site is also prone to flooding during monsoon season.